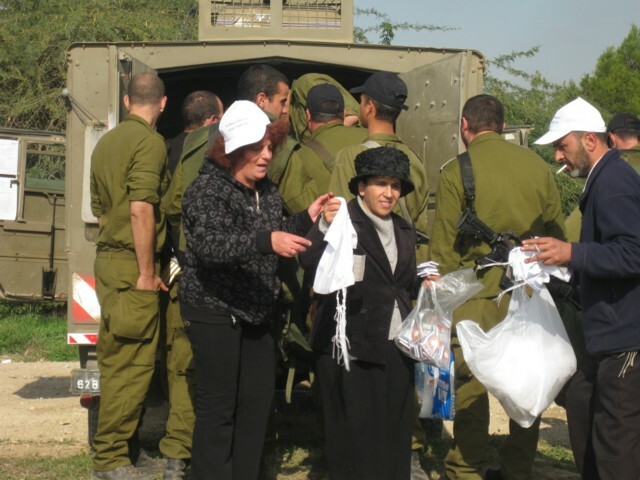 During any offensive against Israel, members of Ohr Meir & Bracha reach out with open hearts and extended hands to offer support to our nation’s soldiers. Under the guidance of its Director, a unique brand of physical and moral support is brought to Israel’s Army bases. From Maalot to Sderot, from the Lebanon War to Operation Cast Lead, the staff and volunteers rushed in to bolster Israeli troops with treats, song, prayers and words of encouragement to strengthen body and soul.